Each year Paso recognizes the achievements of the university students in an informal gathering. Most of the graduates and current students were able to attend including the 2 new students just starting their university programs. 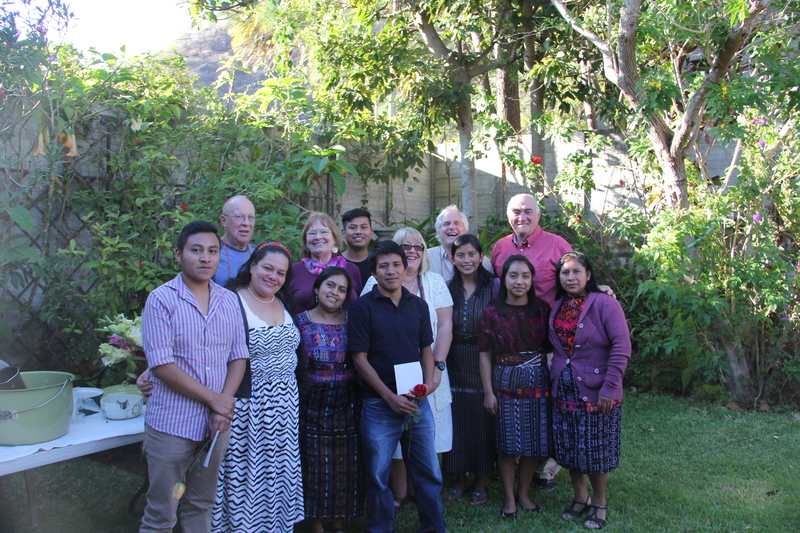 Approximately 50 guests enjoyed a variety of Guatemalan food as well as a typical punch and 2 very large valentine cakes. Roger Pretty organized and hosted the event. He outlined the origins of the program as well as the application process. Past and present students with some Paso directors. 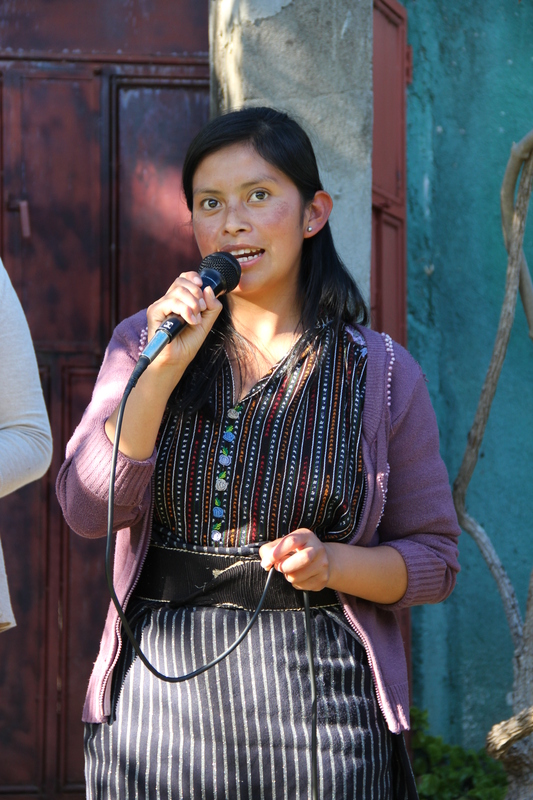 Brenda is a new recipient of a Canada Maya Scholarship and is studying to be a nurse. 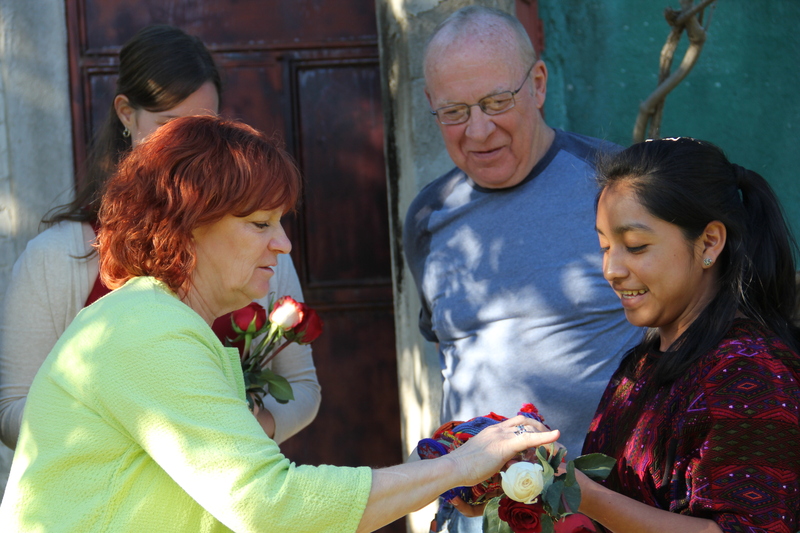 Dale, a Paso director, presents her with roses. Juana is the first recipient of the Patricia Jean Scholarship. She is studying to be a nurse. Patricia Gutierrez is our Guatemala contact. She handles the application process and makes recommendations to the Paso board. 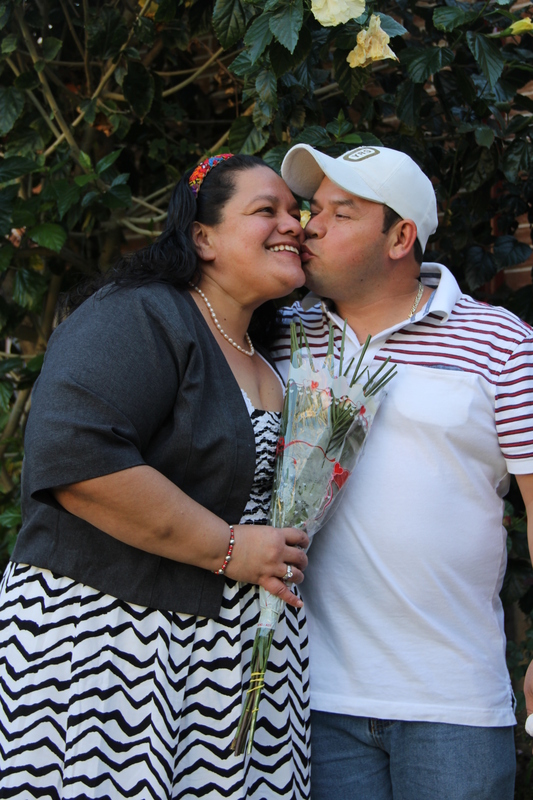 She travelled from the Caribbean coast with her husband Carlos to be with us. 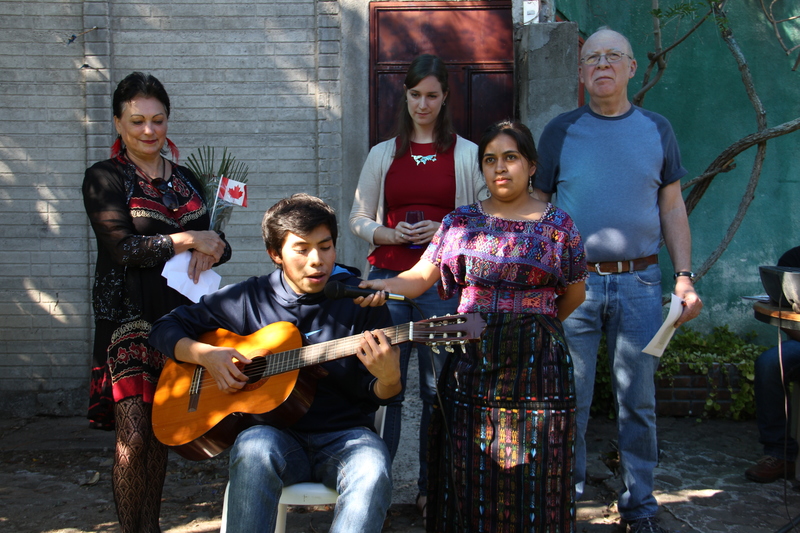 Juan Tinney sings a song to honour Marian Moore, the Honourary Canadian Consul in Panajachel. Oliva Lopez, a business graduate, holds the microphone.